Although remodeling your home is exciting, it can also be overwhelming and nerve wrecking. After all, you’re trusting a strange person or company to come into your home and remodel if into the space of your dreams. That being said, here are eight questions you should ask your home improvement contractor in Downriver Michigan before hiring them. Making sure you use a properly licensed and reliable home improvement contractor in Downriver Michigan is a must. There are many persons and companies that offer home improvement services but not all are properly licensed and qualified. The home is usually the biggest investment a family has and trusting it to someone who may just want to take advantage of you or deliver work that is less than desirable is something that shouldn’t happen. That’s why it’s so important to properly vet each and every home improvement contractor you want to use in your home project. 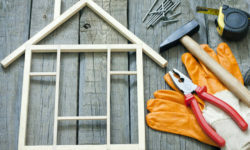 Make sure you follow these 8 tips to get the most from your home remodel project. 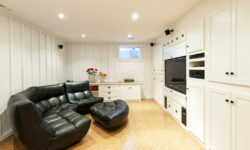 While some new home improvement contractors in Downriver Michigan might be able to adequately finish your project, long-term contractors often have the referrals, reputation, and relationships to adequately finish your project for an affordable price. That being said, asking how many years of experience they have will generally give you a good idea of their skills and ability to complete your project. You should only ever hire a home improvement contractor that has insurance. If your home improvement contractor in Downriver Michigan doesn’t have insurance, you could be held liable for anything that potentially happens while they are doing your project. That being said, avoid being held liable and stick to only hiring contractors with proof of insurance. While sudden issues sometimes arise, your project shouldn’t take a lifetime or feel like it’s being dragged out. That’s why it’s important to discuss the time frame of your project with your home improvement contractor, as well as detail it in your project’s contract. Will Subcontractors Work on My Project? 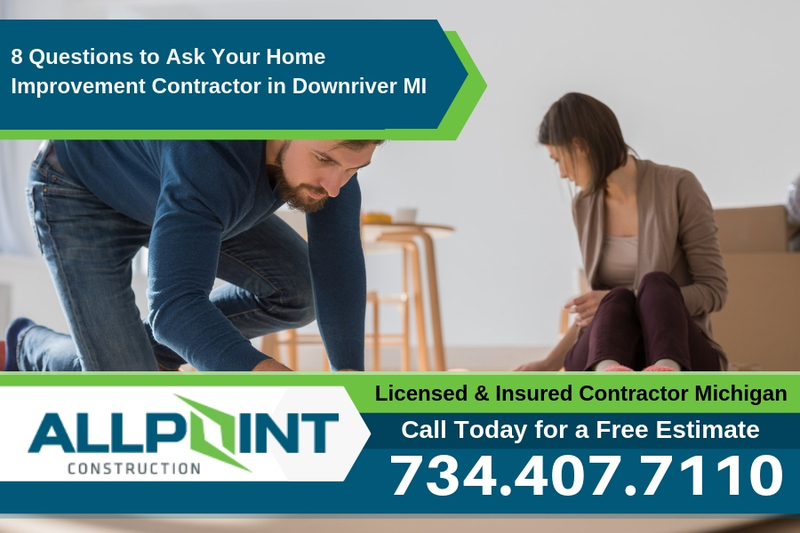 While subcontractors in Downriver Michigan can sometimes beneficially contribute to a project, they often cause more problems than solutions. Since contractors are not held liable for the overall being and actions of subcontractors, they have no way of knowing the extent of the subcontractors ability’s and intentions. That being said, it’s usually a safer option for a contractor to just use their employees. Have You Completed Any Similar Projects in the Past Year? It’s important to know your home improvement contractor in Downriver Michigan is skilled and experienced with the type of project you want. That’s why you should ask if they have completed any similar projects in the past year. This will give you an honest idea of the scope of your contractor’s experience and skills. How Many Referrals Do You Receive? Referrals are important. After all, referrals happen after a customer is satisfied and proud of the work a contractor did. That being said, you want to hear a high number of referrals. If your contractor seems uneasy or won’t give you a specific number but alludes to it being low to moderate, then you should consider hiring another home improvement contractor. What Materials Do You Prefer to Use? Different materials require different techniques and tools. That’s why it’s important to ensure your home improvement contractor is skilled and experienced enough to utilize and construct with the materials you want to use. Ideally, you want to find a contractor who specializes in the materials you want to use, so you know you’re getting the best service possible. Lastly, ask your contractor for references. This will enable you to follow-up to see different experiences of what working with the contractor is like. Ultimately, this could be a deciding factor on whether or not you hire the home improvement contractor. One of most qualified home improvement contractors in Downriver Michigan is All Point Construction. Call them today for a free estimate on your project (734) 407-7110. They are fully licensed and insured and can discuss any of the questions above about your home improvement project.